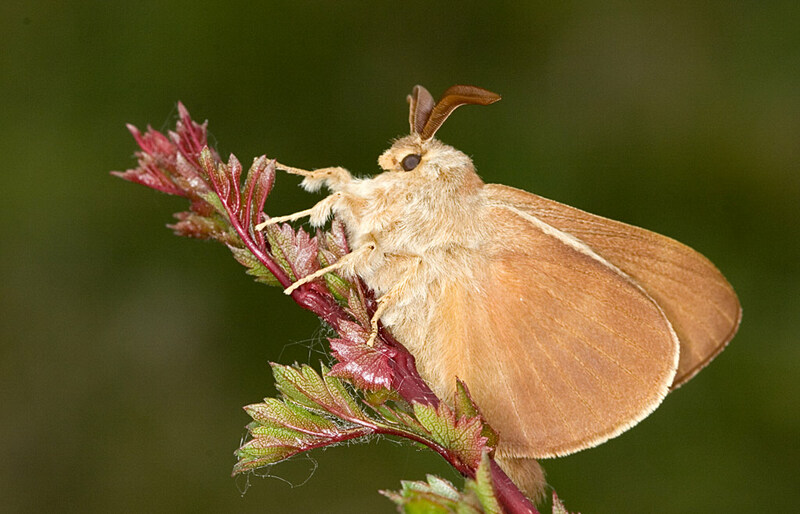 This large brown moth has two thin cream cross bars on the forewing. Only the males fly during the day. Their rapid flight is close to the ground as they search for females. Single-brooded, late May to June. Salad Burnet, Meadowsweet, Brambles, Heathers, Bilberry. Downland, heathland, open common land and open woodland.